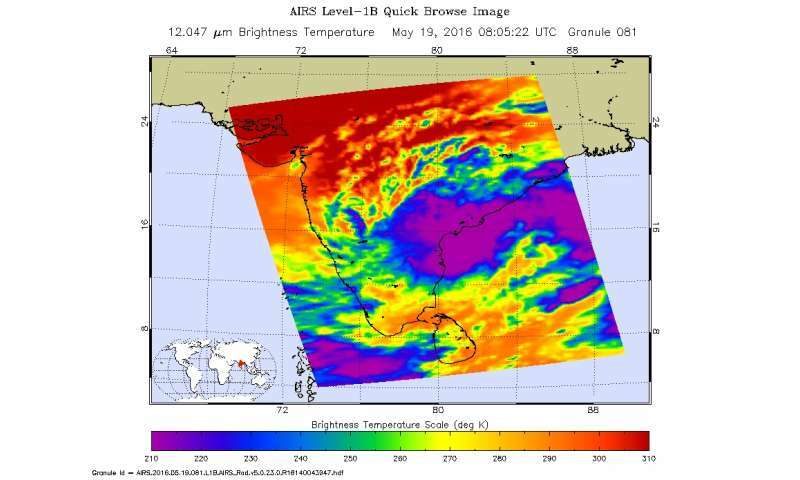 Tropical Cyclone 01B became more organized and was named Roanu early on Thursday, May 19, 2016. 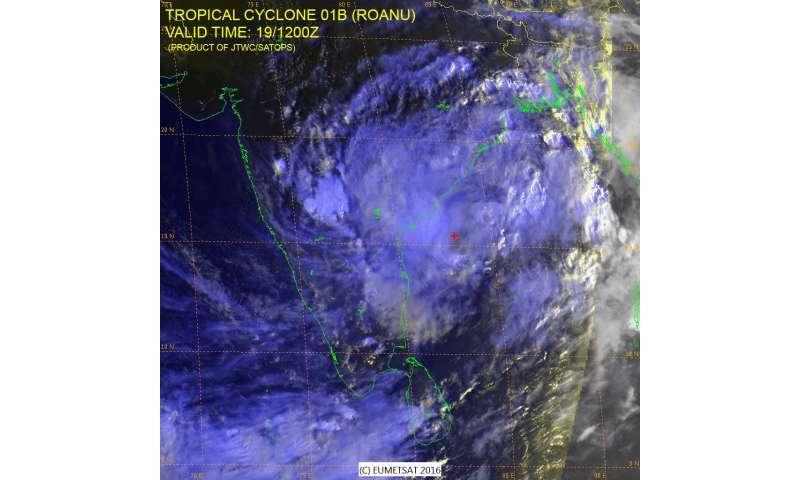 This makes it the first cyclone of the monsoon season. 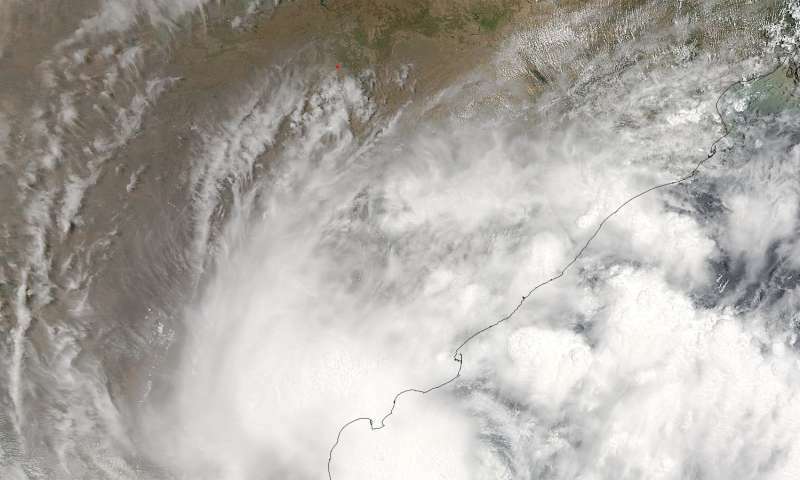 Before this storm was named it had already caused massive landslides and flooding in Sri Lanka. Water temperatures in the area are warmer than average pumping massive energy into the area and helping Roanu to strengthen as it makes its way east-northeastward at 7 knots over the past six hours. Currently located 645 nautical miles southwest of Chittagong, Bangladesh, this tropical cyclone has the potential of creating severe damage if it stays off shore. The eye of the storm is getting defined and broad. Wave heights are reaching 18 feet and winds are clocking at 40 to 50 knots. In the next 48 hours Roanu is expected to strengthen with winds up to 50 to 65 knots. It is possible that the winds in this storm could reach hurricane strength making it a Severe Tropical Cyclone. Storm surge, which accompanies a cyclone, is the most damaging aspect of a storm. As the storm crosses over land, the storm surge follows behind as a wall of water. This water barrier causes widespread flooding and damage as was seen in Sri Lanka just days before.